Cattle farmers, hoof trimmers and veterinarians can now work without antibiotics. Intracare's Hoof-fit line has experienced a strong upward development. 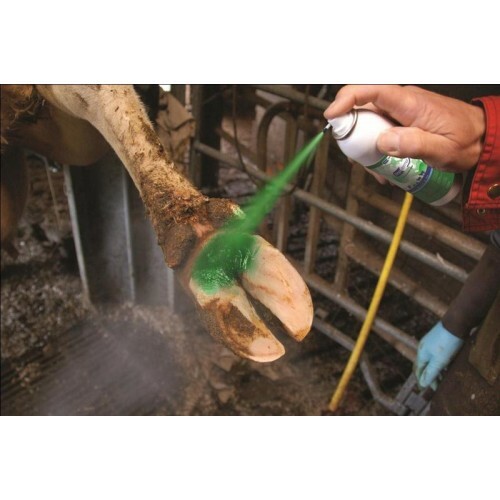 Intracare now introduces a new line extension: the Repiderma spray in an aerosol can, in addition to the well-known Hoof-fit Gel, Liquid and Bath products. Repiderma is a skin care product with immediate effect. The active ingredients are chelated minerals which - unlike traditional minerals - can be absorbed easily by the skin. Therefore, Repiderma is not only active 'on' the skin, but also ‘under and within’ the skin. This process is intensified because the chelated minerals are micronized, using the latest nanotechnology techniques. Minerals are ground into tiny particles of maximum 3 µm, using specialized equipment. This is 25,000 times smaller than a sand grain. As a result, the particles penetrate deeply into the skin in a short time. Repiderma contains adhesive substances, ensuring a long contact time with the skin. In addition to these adhesive substances, Repiderma contains numerous active ingredients that protect the skin against external influences. After applying the spray, Repiderma forms a layer on the skin. Animal types Repiderma can be used on dairy cattle, horses, sheep and pigs. 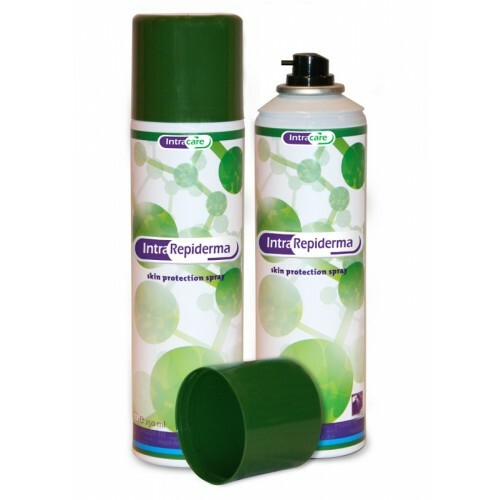 Repiderma is available in a 200 ml aerosol can.